Larry Tucker of Orange County, California, has been a SCORE volunteer for nine years. He has served as Chairman and Vice Chairman of the Orange County Chapter and Chairman of their CEO Forum Program. In 2015, Larry received SCORE’s Special Recognition for Highest Achievement in Job Assignment, and in 2014, he earned the Gold Member Award for Exceptional Contribution & Meritorious Service. Larry is a Board member of the Executive Coaches of Orange County, previously serving as its CEO from 2010 to 2012. He is an Advisory Board Member of Robert Errico Financial Advisors and Mentor at the University of California-Irvine School of Business. Prior to his years of volunteering, Larry was part owner of Hewitt Associates, an international consulting firm. Mary Landry, Rear Admiral (Ret) of Belmont, MA currently serves as a Director of the United Services Automobile Association (USAA). USAA is a Fortune 125 company serving over 11,000 military members and their families with highly competitive property and casualty insurance, banking, and financial services. Rear Admiral Landry has over 35 years with the government including service on the White House National Security Council as Special Assistant to the President and Senior Director for Resilience Policy, and active duty in the United States Coast Guard. Rear Admiral Landry served in many assignments across the country including Commander of the Eight Coast Guard District, where she oversaw Coast Guard operations for a 26 State region with over 9,000 active, reserve, civilian, and auxiliary personnel under her command and an assignment as Director of Governmental and Public Affairs at Coast Guard headquarters in Washington, DC. Nancy Strojny of Cape Elizabeth, ME is the principal of Beauty Vantage Consulting, focusing on building brands in the hospitality channel in the U.S. and the Middle East. Her broad experience includes Fortune 100 companies and business start ups. Strojny has been a Sales & Marketing Executive with Procter & Gamble, CVS, Outsourcing Services Group, and most recently Power Brands. She maintains strategic alliances with MGM Resorts International in Las Vegas. Strojny is a Certified SCORE Mentor, and the Chair of the Portland Chapter of SCORE. She was honored in March of 2012 as a White House Champion of Change for entrepreneurial mentorship. She is a member of the Maine Marketing Association and the SCORE National Advisory Board. Fred Glave has over 40 years of experience in the telecommunications industry. After senior officer positions with Nortel Networks, he founded a new venture-financed company in Silicon Valley and has since held senior executive positions with several telecommunications enterprises, primarily at the CEO level. 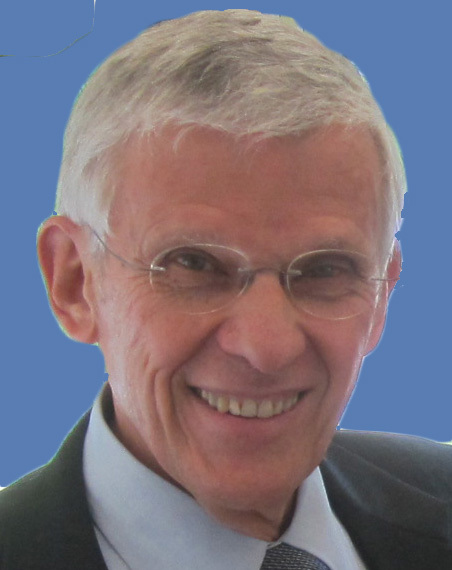 Dr. Glave is a certified SCORE mentor and past president of the Washington DC chapter of SCORE. He is a graduate of the University of Toronto in Electrical Engineering and holds a Masters degree from MIT and a PhD from Univ. of Calif., Berkeley, all in electrical engineering. Mukesh Asarpota is a recognized business technology leader known for crafting the requisite strategic vision to achieve business goals, bringing a unique blend of executive acumen, global team-building, and business solutions development credited with strong ROI and operational improvement for companies domestic and international. He is currently Director of IT at Salesforce and has a verifiable record of achievement in managing large and dynamic global IT operations. Mukesh holds an MS in Computer Science from the University of Massachusetts and is certified in CIO Leadership from MIT Sloan School of Management. James Capolongo is the Senior VP & Head of Retail Deposit Products and Pricing for TD Bank, America’s Most Convenient Bank. In this role, James is responsible for more than 8 million customer accounts generating more than 30% of the TD Bank's revenue, while helping TD customers meet their banking needs. Prior to TD Bank, James spent more than 10 years across several top 10 U.S. financial institutions, leading corporate and retail strategy groups. Throughout his career, James has worked on $10 billion of mergers and acquisitions, $10 billion capital raising and several hundred branch openings and closings. Joe Citizen of Orange County, California is a fashion executive with over 27 years of experience, including leader of mid to large size organizations, corporate development, product development, product marketing, business operations including supply chain management and short/long term strategic planning. Joe has held leadership positions at companies such as Merry Go Round Ent., Gap Inc., Apple Inc., and Harvey’s Ent. He has served on several advisory boards including the Institute for Women Entrepreneurs, an organization that empowers women entrepreneurs in all stages of business development. He is currently the Founder and CEO of KYLA JOY, a Los Angeles based Luxury handbag brand. Jennifer Elena is the president and founder of Jelena Group, a Palo Alto (think innovation) and D.C. (think influence) based integrated marketing and public relations agency, which specializes in developing national large-scale consumer education and social impact campaigns serving multicultural audiences. Elena leads the team in strategy and business development. She connects her passion (education and entrepreneurship) to her clients’ needs to create change and deliver social impact. She has more than 18 years of experience and has worked with Fortune 100 companies, national associations, federal agencies and non-profit organizations. Scott Harkins serves as the Senior Vice President of Customer Channel Marketing of FedEx Services. He leads the Customer Engagement Marketing, Retail Marketing, Global Marketing Foundations and Digital Marketing teams. Prior to his current role, Scott Harkins was the Vice President of Strategy and Product Management. He was responsible for domestic product management, new product development and strategic marketing. Scott earned his B.S. in Mechanical Engineering from the University of Notre Dame, and his Master of Science in Management from Georgia Institute of Technology. Susan E. Hartman of Evergreen, CO is President of The Hartman Group. Sue has over 30 years of diversified experience in strategic planning, business management, organizational design, mergers and acquisitions, operations and international business development. She began her career with Eastman Kodak Company, working her way up from Research Scientist to General Manager, Worldwide Film Manufacturing and Supply Chain. Through guest lectures she has shared her expertise with numerous academic institutions, including RPI and University of Michigan, as well as professional organizations including Agility Forum and IEEE. Since 2012, John A. McCloskey has volunteered with SCORE as a mentor, vice-chair, chairman, assistant director and currently the North Carolina District Director of 11 chapters and 400 mentors. For 18 years, McCloskey was the President and CEO of Schaeffler Aerospace, the world's largest producer of aerospace jet-engine bearings with 66,000 employees worldwide. He was also Executive Vice-President of North American Operations of GKN Automotive, the world's largest producer of automotive front wheel drive systems. He has a BS in Industrial Engineering from St. Louis University and MBA from Western New England College. Michael A. Sandman served as Senior VP of Fuld & Company and has over 25 years of experience as a senior operations manager with a focus on the use of technology in operations. He has an extensive background in technology transfer to licensees and joint venture partners in the Pacific Rim, Switzerland, England, Mexico and Brazil. He was the CEO of a composites manufacturer and consulted extensively in the U.S. and abroad for a variety of manufacturing operations. Mr. Sandman received his BS in Economics from Clark University in Worcester, MA and MBA from Cornell University. Tracy Shaw of Southbury, Conn., currently serves as assistant vice president of business market development for MassMutual. MassMutual is a leading financial services firm offering insurance, retirement and investment services for families, businesses and employees. Shaw has nearly three decades of experience as a business development strategist in industries ranging from financial services to health care, with dedication to enriching the customer’s experience, streamlining process improvements and developing innovations that enhance ROI. Tracy serves as a volunteer for the Immune Deficiency Foundation and Make-A-Wish Connecticut. Tracy earned an MBA from Western Connecticut State University. From her time as a business owner, she holds a patent for 401kSecure, which is designed to replace defined contribution plan deferrals of disabled participants. Nigel Stephens of Beltsville, MD is the Senior Manager for Federal Government Relations at Accenture Federal Services, a wholly owned subsidiary of Accenture LLP, where he manages the legislative and policy portfolio for the Civilian and Public Safety business groups. Prior to joining Accenture, he served in both the U.S. House and Senate in various roles, including: Chief of Staff for Congresswoman Yvette Clarke (D-NY), Professional Staff on the Senate Committee on Small Business and Entrepreneurship for Senator John Kerry (D-MA), and Legislative Assistant for former Congressman Albert Wynn (D-MD). In addition to his tenure on Capitol Hill, he has served as the Manager of Government Relations for the AIDS Action Foundation and as a Government Relations Specialist for COMSAT Corporation. Mike Stolz is chief executive officer (CEO) of Source Support Services. He started his career at Source as chief operating officer (COO) and has since progressed to his role as chief executive officer. Mike has held senior leadership positions at companies such as Imation, Xyratex, StorMagic and X-IO Technologies over his 30-year career. He has demonstrated success as a senior executive in marketing, sales and technical support for startup through mid-size public companies. Mike has served as a board member, board chair and volunteer for Make-A-Wish Minnesota as well as being a member of the Chapter Performance Committee of Make-A-Wish Foundation’s national organization. Mike earned a Bachelor of Science degree in business administration with a concentration in marketing from Northeastern University. Pedro Suriel is the Managing Director of Client Services at Cook Ross. He is responsible for driving the growth of the company’s consulting practice and developing the organization’s reputation as an industry thought leader. He also served as Managing Director and Partner of North American Diversity and Inclusion at Accenture where he directed and executed D&I strategy throughout the 40k person organization across the globe. Currently, Suriel is the Director of the Advocates of Love Board of Directors. Pedro earned his BA in business administration from New York Institute of Technology. Ron Weiss of Nashua, NH has been a SCORE volunteer since 1998 and the past District Director of New Hampshire SCORE. He is a SCORE-certified mentor, a past Chapter President of Merrimack Valley SCORE, the current Assistant NH Director and a current member of Score’s National Advisory Council. He is also the CEO/CTO of ARkival Technology Corporation, a leading technology company in the field of magnetics and cancer research. He holds several degrees in Physics and has been CEO of several High Technology startups, companies that include an IPO and a leveraged buyout. Luke Walling is an accomplished entrepreneur, angel investor, and former corporate executive with 25 years of success in the technology, cybersecurity, and IT services industries. In his current role as CEO and President of Temprano Techvestors, he has led his startup through three sales-channel acquisitions & subsequent optimizations of those businesses, signed strategic contracts with emerging market software vendors, achieved month-to-month profitability in one year, and annualized revenues approaching $20m in year two. Luke held leadership positions with some of the world’s largest security software brands, AVG Technologies and Avast Software. Ian Williams is the VP of Marketing for the Small Business Service business unit of Deluxe Corporation. He has had a distinguished career that includes senior leadership positions (President, VP and Executive Director) with leading global technology companies such as Deluxe Corp., Imation, Seagate Technologies, Hewlett-Packard, Compaq and Apple. He is recognized for providing strategic and visionary leadership to transform organizations and deliver impressive financial results. Williams is adept at combining financial pragmatism with innovative product planning and aggressive organizational design to assess and seize new market opportunities. He holds an MBA from York University Schulich School of Business and a Bachelor of Business Administration from Brock University in Ontario, Canada.